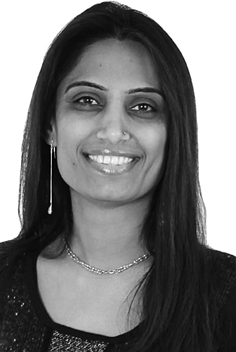 Bharti commenced her career at Medical Information Systems Ltd in 2005 working as an Administrator for the NHS Database. Her role included ensuring all primary contact details for senior NHS personnel, including NHS facilities and asset management professionals, were current. This information was crucial to users of the NHS Database such as British Telecom, government departments and many FTSE 100 companies, which provided services and expertise to NHS sites. In 2007 she moved on to Roselodge Group as Project Co-ordinator, specialising in delivering professional property housing and asset management services. While at Roselodge Group, Bharti oversaw the supplying, under Private Sector Leasing agreements, of properties to several London Boroughs, including Brent and Ealing. Bharti later transferred to Roselodge Group's sister company, Citrus Group, whose main activities included the acquisition and strategic asset management of investment and development opportunities. While at Citrus Group, Bharti looked after the company's substantial Real Estate portfolio as Property and Finance Assistant. She joined Caisson in 2014. The experience Bharti has gained from working in property asset management with both public and private sectors gives her a unique and balanced approach to her role as Asset Management Administrator at Caisson Investment.